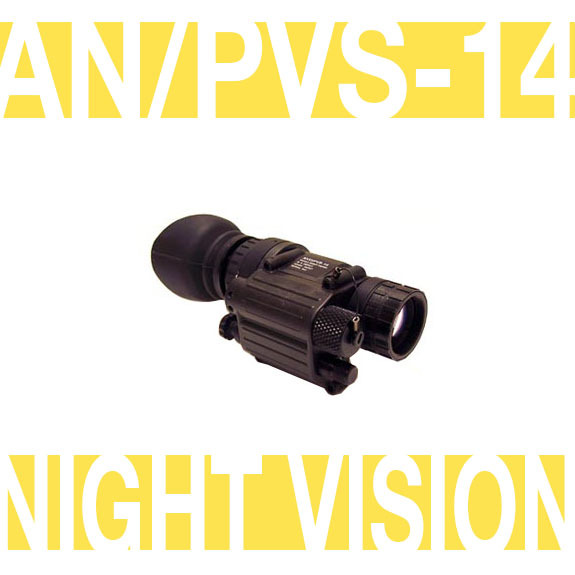 The PVS-14 is the all around best multi-functional night vision sight available. The new redesigned battery housing (one each AA battery) simplifies use with greater dependability, lighter weight and a submersion depth of 66 feet. Most important of all, the PVS-14 has shown its mettle in the deserts of Afghanistan and Iraq and proven itself to be an invaluable tool on the battlefield. With current contracts for production numbering into the hundreds of thousands of units, the PVS-14 may well be the most highly produced night vision sight to date. Contact us today for pricing & more information! 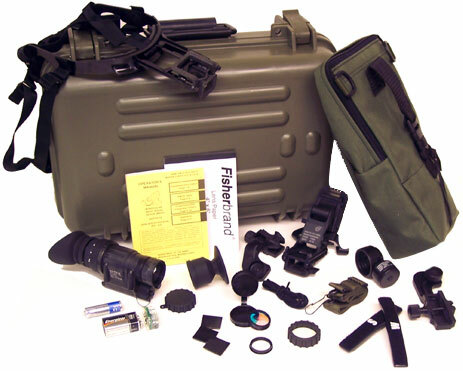 One of the reasons for the PVS-14's great success is its ability to fill several niches. These include being head and helmet mounted. In this role, the PVS-14 allows the user to retain his night adapted vision in one eye while viewing his surroundings through the illuminated eyepiece of the PVS-14. Another niche that the PVS-14 fills is its ability to be weapon mounted behind most collimated daylight aimers and Reflex sights such as the ACOG, Aimpoint and EO Tech systems. This allows the user to use his PVS-14 as both a night vision monocular for increased mobility and tactical awareness and as a weapon-sight. Another advantage of the PVS-14 night vision sight is its gain control. This function gives the user the ability to increase or decrease the tube gain. Under extremely dark conditions, gain control allows the user to adjust the gain upward, giving him a better image. Under high light conditions, details can be washed out due to an excess of light. Lowering the system gain can allow those details to be better seen. Additional features of the PVS-14 include an infrared LED with LED indicator, a low battery indicator and a high light cutoff. All in all, the PVS-14 has set the bar for what a night vision monocular should be. Dimensions 4.5" x 2" x 2.25"